“[STARRED REVIEW] An illuminating stroll through the decades of one of the most culturally significant streets in America…Journalist Calhoun vividly details the long legacy of artistic upheaval, political foment, demographic transformation, and resistance to gentrification along the street on New York’s Lower East Side where she grew up. St. Marks Place doesn’t submit to the easy stereotyping of San Francisco’s Haight-Ashbury, perhaps because “hippies” and “Summer of Love” represented such a comparatively brief blip in American culture. The hippies of St. Marks preferred to be called “freaks,” with less of an emphasis on love and more on the liberation of anarchy. 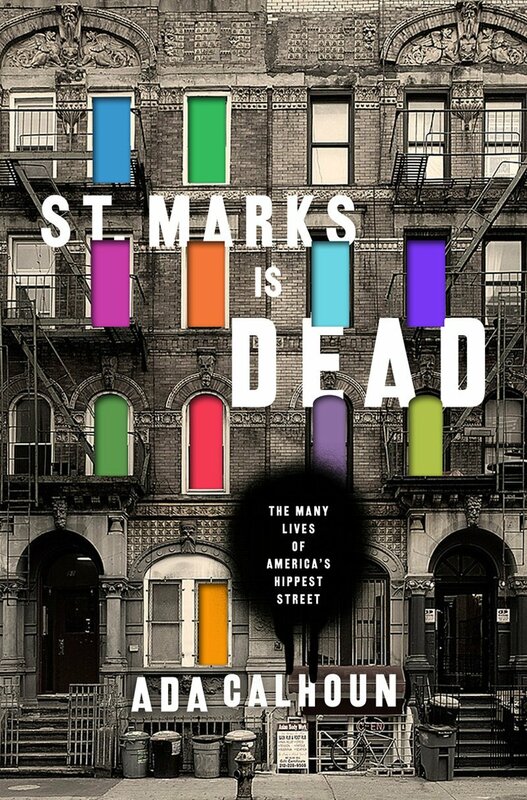 But as the author traces the legacy of St. Marks back four centuries, she shows how the street has long served as a magnet for radical visionaries, crackpot artists, self-proclaimed prophets, and runaways with nowhere else to go. ‘Disillusioned St. Marks Place bohemians— those who were Beats in the fifties, hippies in the sixties, punks in the seventies, or anarchists in the eighties—often say the street is dead now, with only the time of death a matter of debate,’ she writes, and then counters, ‘but this book will show that every cohort’s arrival, the flowering of its utopia, killed someone else’s.’ In quickly paced, anecdotal fashion, Calhoun connects the dots between Emma Goldman and Abbie Hoffman, Charlie Parker and the Velvet Underground, those who occupied the neighborhood during different decades but sustained its character as kindred spirits…The breezy approach underscores the radical, significant transformations experienced by St. Marks and leads to her engagingly personal reflection on how a child raised there might not feel much nostalgia for blocks of discarded needles, used condoms, and threats of pedophilia: ‘though St. Marks Place will probably always elude true respectability, the street today is safer and more pleasant than at any point in the last fifty years.’ Rather than a nostalgic lament, this revelatory book celebrates an indelible cultural imprint.”St. Marks Is Dead coming November 2, 2015, from W.W. Norton & Co. Pre-order from Amazon, Barnes & Noble, or iBookstore.